Aaaahhh! Springtime in the Mountains! Her arrival was becoming questionable but alas, Mother Nature has worked her magic and Spring is finally in the air. Now is the perfect time to visit us here at Deep Creek Lake. The trees are in bloom, the air is crisp and fresh, and the sun is perfectly warm without being too hot. Yes, I am bragging but if you were here, you would understand why. There are a myriad of activities to do at this time of the year; golfing, fishing, hiking, geocaching, horseback riding, and antique shopping, just to name a few. However, if you really want to try something different and with a little more “local flair”, then you should check out some of our area events. This upcoming Saturday there will be a Ramp Cook Off held at Deep Creek State Park. What, may you ask, is a ramp? Good question. Ramps are essentially intense flavored wild onions that are high in healthy vitamins and minerals. The kicker is that they are, how do I put this, as to not offend? Well, they are stinky! Oh, yes, the ramp is one rather stinky onion but more than enough people are more than willing to overlook this flaw. 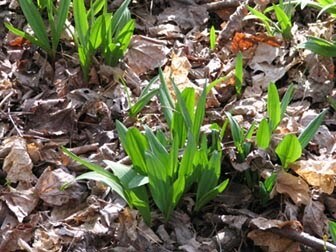 These wild onions generally grow in the higher wooded regions and usually begin to sprout up in April. My family has been “ramping” for several years now and we love it. We look at it as an awesome family activity that not only gets us outside (anything away from a “hypnotizing electrical contraption”, on occasion, is a plus in my book!) 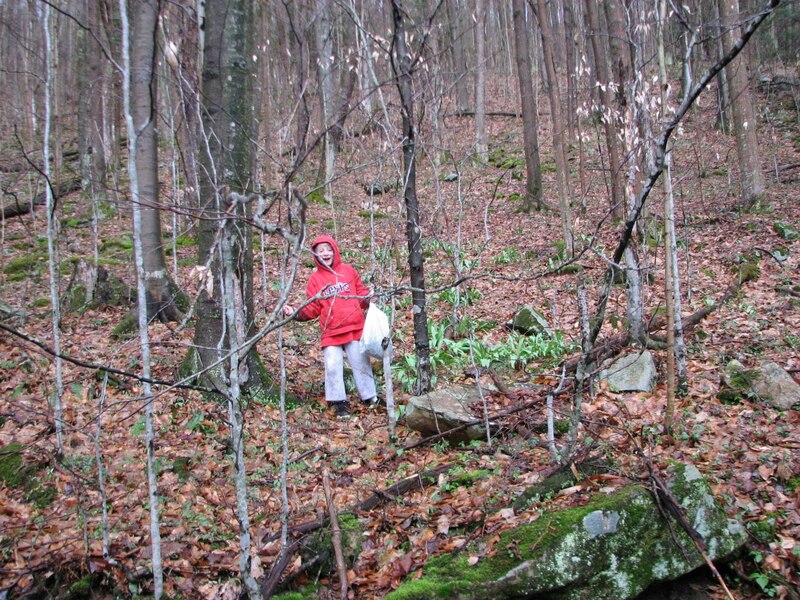 but allows us to explore parts of Garrett County that you don’t normally see. This Saturday, you will will have the oppurtunity to bring the family to the park where there will be music, interpretive events on site, tasty dishes, and fun for the whole family. Embrace Western Maryland with a visit to our Ramp Kick Off! Who knows, maybe you’ll embrace the Ramp as others have and make it a family tradition. See ya at the Lake! Deep Creek is abuzz with the news that the Adventure Sport’s Center International (ASCI) will host the2014 Canoe Slalom World Championships. Competing with entries from Vienna, Austria and Krakow, Poland, Deep Creek was chosen as the location by the International Canoe Federation in Paris. This is especially close to our hearts because the 2014 event falls on the 25th anniversary of the 1989 World championships that were held at Garrett County’s Savage River. It also represents the return of world championship whitewater canoe and kayak racing to the United States for the first time since 1989. If you haven’t been to ASCI’s mountaintop whitewater course (the only one in the world!) it’s a must see for any visit to Deep Creek. They kick off their 2011 season on May 14 with guided rafting tours, as well as rock climbing, rapelling, mountain biking and more. Congratulations to everyone at ASCI! If you have had the pleasure of visiting Deep Creek Lake anytime in the past week or so, then you may be a tad befuddled by the weather we have been experiencing. Mother Nature has been quite fickle as of late, bestowing us with massive amounts of snow one day and sunny and in the 70’s the next. One of my favorite places to take the family at this time of year is to the Deep Creek Lake Discovery Center, located beside Deep Creek State Park. This enviromental center is the ideal place to bring the kids so that they can learn more about the natural resources that are available here in our region. Art, photographs, hands-on exhibits, and artifacts are just some of the many tools used to educate the public on a “behind the scenes” look at Deep Creek Lake. On April 23rd from 11:00 am – 1:00 pm, the center will be be offering children a chance to participate in natural egg dying. Bring no more than 6 clean hardboiled eggs and enjoy the experience of dying eggs with natural egg dyes. The Easter Bunny will also be present for pictures and will be handing out treats to the wee ones. Guaranteed to be a day of good ol’ family fun! Stop by, we can’t wait to see you! Look for a future blog where we discuss all things super stinky…yep, that’s right, folks. We are quickly approaching “Ramp Season”, otherwise known as that “Really, really stinky onion thing…” C-ya at the lake!